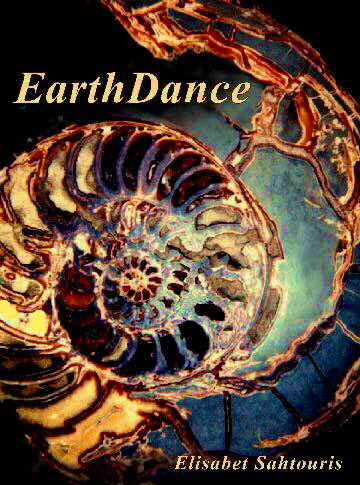 November 2000: The updated 432-page book of EarthDance (ISBN: 0-595-13067-4) is now published by (and available at) iuniverse.com, distributed by Ingram and available through all normal channels, including the big online bookstores. Earthdance: Living Systems in Evolution:"To find meaning and guidance in nature, I integrated my personal experience of it with those scientific accounts that seemed to best fit it. From this synthesis, meaning and lessons for humanity emerged freely. I did the work in the peaceful, natural setting of a tiny old village on a small pine-forested Greek island, where I could consider the research and debates of scientists, historians, and philosophers, then test them against the natural world I was trying to understand." Two-part video recordings has Elisabet talking about reuniting spirituality and science in order to form a new world view - a world view that shows how humanity is still evolving, and how the environmental crisis is the challenge that will prove our mettle as a species. Sahtouris draws upon the fascinating world of living systems to give examples of how change is ever-occurring in nature, and how we are all inter-connected in ways we have only just begun to understand. Do we have what it takes to survive? Recorded 1 September 2003 at Wasan Lake, Canada. An article from the magazine IN CONTEXT, #36, Fall 1993, Page 40. Elisabet's poems�in her own voice with music and images. Watch the universe birthing the Earth; then follow a single atom as it traces its way through all the geology and biology of Earth over time. Great way to get the connectedness of it all Order from Foundation for Global Community, 22 High St., Palo Alto, CA 94301 650/328-7756, fgc@globalcommunity.org, poetry/music/images�($15.00 includes tax; $5.00 shipping/handling). Elisabet Sahtouris, Ph.D. is an American/Greek evolution biologist, futurist, business consultant, event organizer and UN consultant on indigenous peoples. She is a popular lecturer, television and radio personality, author of EarthDance, Biology Revisioned co-authored with Willis Harman and A Walk Through Time: From Stardust To Us (with prologue by Brian Swimme and epilog by Sidney Liebes). Dr. Sahtouris has taught at the Univ. of Massachusetts, M.I.T. and was a science writer for the NOVA/ HORIZON TV series. She has lived extensively in Greece and the Peruvian Andes. Her vision is the sustainable health and well-being of humanity within the larger living systems of Earth and Cosmos.